Keeping true to A House Near Luccoli, much of the foundation of this novel relies heavily on music as expression. The cadences and temperaments of compositions are reflected in Denton’s pacing as well as her confidently executed freedom of narrative … revelations are made, characters introduced, and emotions uncovered with unexpected swells and surges of expression. 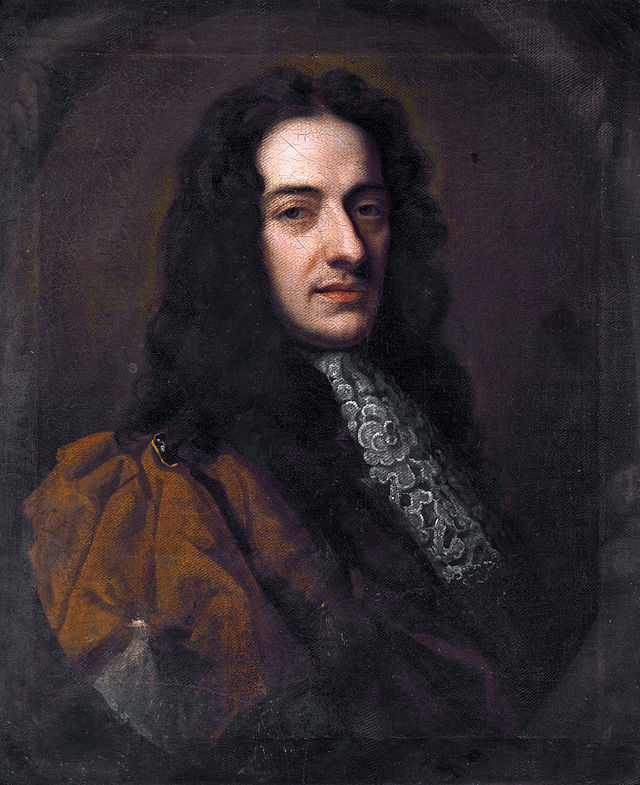 It was during my research for A House Near Luccoli that I came upon the claim, noted in the introduction to Purcell Studies edited by Curtis Price, that Henry Purcell had openly regretted Alessandro Stradella’s death and, because of the Italian’s “great merit as a musician”, forgiven his fatal indiscretions. 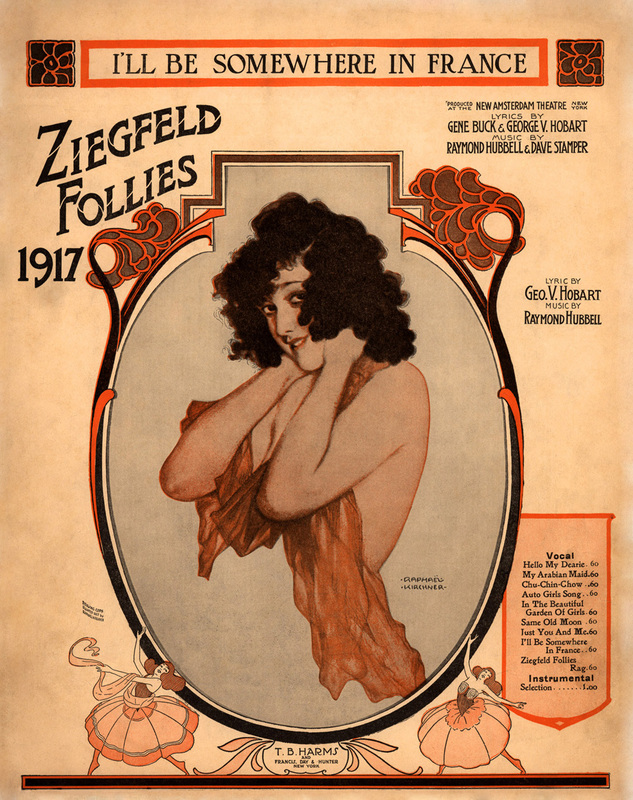 True or not, it stirred me to somehow bring the celebrated English composer into Donatella’s continuing story, and on reading Roger North’s assertion that the high point of his musical experience was entertaining the ‘divine’ Purcell, I was even more inspired to do so. 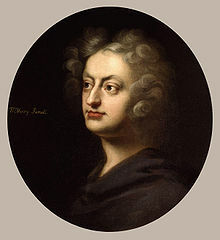 Henry Purcell was as obscure a figure as Stradella in terms of how little about his personal life was recorded. 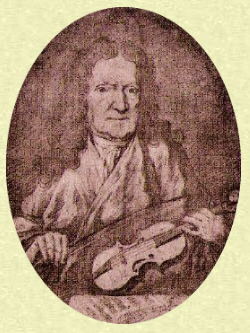 Despite his legacy of being a uniquely English composer, he enjoyed and sometimes emulated the Italian style. 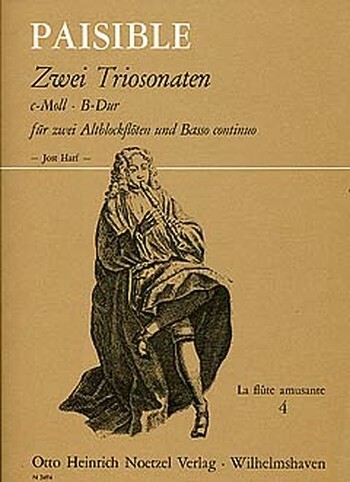 He met his end at a younger age than Stradella and in a way that left as much conjecture as to why. Was it chocolate poisoning, the result of pneumonia brought on by being locked out of his house by his wife after a night of drinking, or ‘just’ tuberculosis? 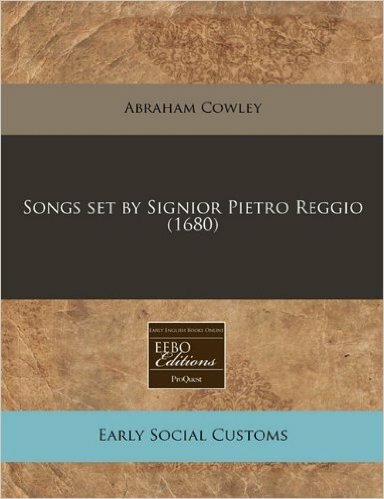 There is much mystery surrounding the life of the “slovenly and ugly”, to quote diarist Samuel Pepys, composer, lutenist, and singer, Pietro Reggio, who was probably from Genoa as he was referred to as Pietro Reggio Genovese. 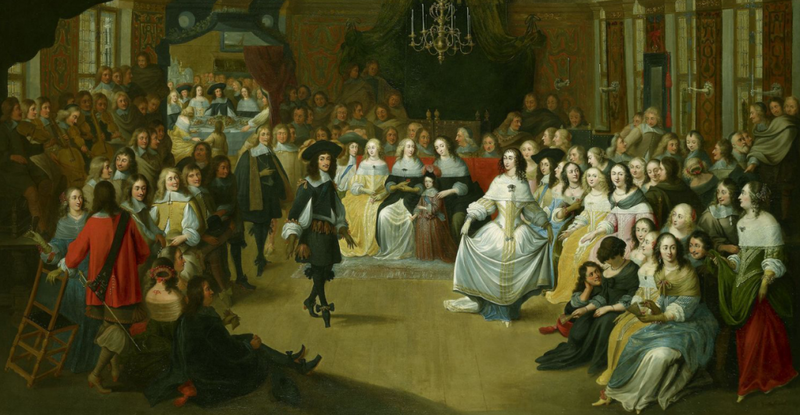 He was employed in Stockholm by Queen Christina before her abdication and subsequent move to Rome where Stradella and Lonati encountered her. Eventually, Pietro traveled to France, and, if the inscription on his tombstone is accurate, to Spain and Germany. He had moved to England by 1664, where Pepys and another writer, John Evelyn, were entertained in very different ways by him. 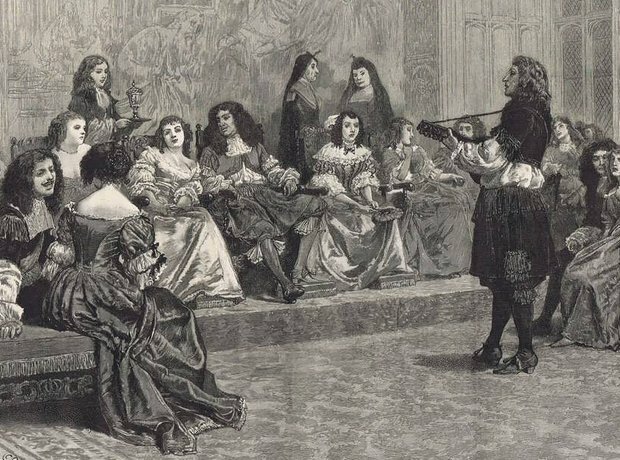 Whereas Pepys wasn’t overly impressed by “Seignor Pedro” who played the theorbo and sang Italian songs, Evelyn included Reggio’s singing in his description of the “rare music” he enjoyed after dinner one evening. 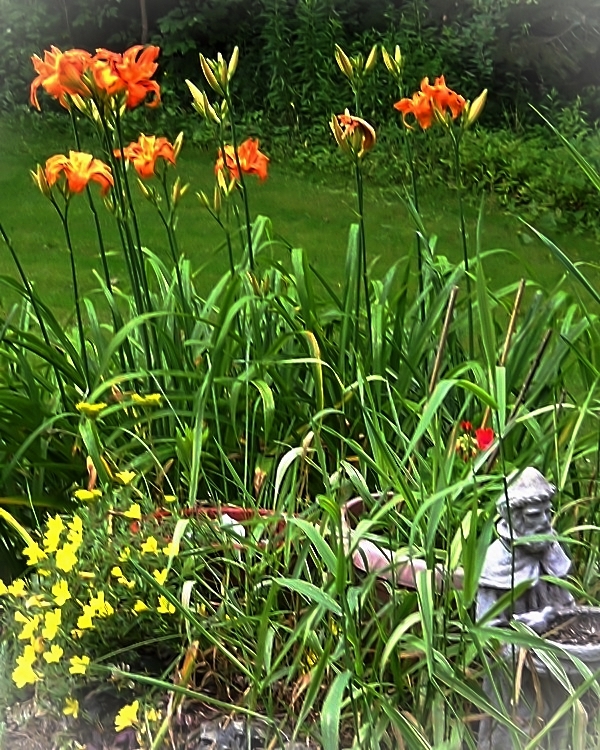 Partially, a re-post – I just had to snap this photograph of the proud Day Lilies in my little St. Francis garden, and, of course, once again display the lovely painting just below by my mom, June. Why would a talented up-and-coming composer, patronized by a Queen and other highly placed individuals, engage in marriage brokering? To find out “Ms Stuart Requests … the pleasure of your company” – and so do I – at my guest post on “history with a heart” author Alison Stuart’s lovely blog. And here’s another: Marriage broker – someone who arranges (or tries to arrange) marriages for others, usually between strangers and for a fee. Alison and I thank you for the pleasure of your company! I’m marking my 62nd birthday (July 6) by remembering my beautiful and talented maternal grandmother, Marion Allers DiCesare, a recent interview question prompting me to consider – once again – her promising but frustrated and abbreviated ‘story’. She died long before I was born, but has always been a strong presence in my life, especially my sensory and creative life, through the memories of my mom who absolutely adored her – and as you’ll ‘see’ as you read on, she wasn’t the only one who did. Her family was long established in Oak Park, Illinois, a village on the west side of Chicago that was the haunt of Earnest Hemingway’s family (my mom having babysat for his sister Sunny’s little boy – but that is a tale for another time). From a family history prepared in 1978, it is confirmed that my grandmother’s grandfather William Allers, a cabinet maker, came to the US with his wife and four children from Budby, Nottinghamshire, England in 1848; two more children including my great-grandfather Henry were born in the US. 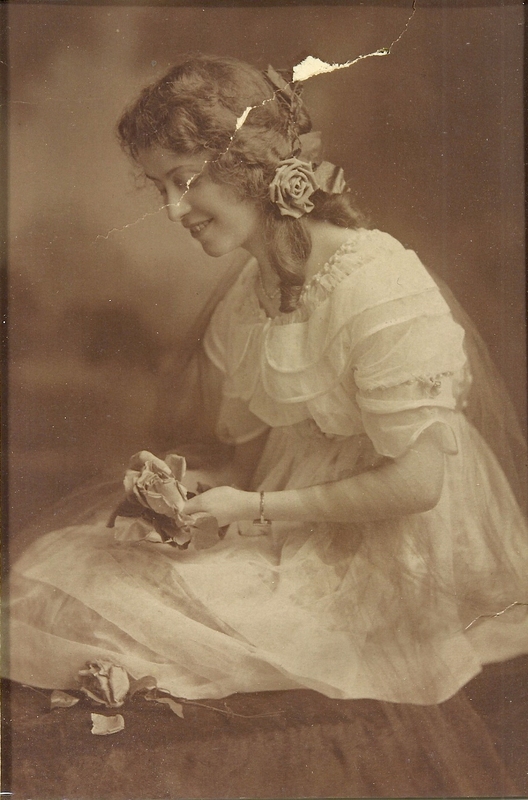 Henry married Ida Shreffler, and my grandmother Marion, their sixth child, was born March 24, 1893. 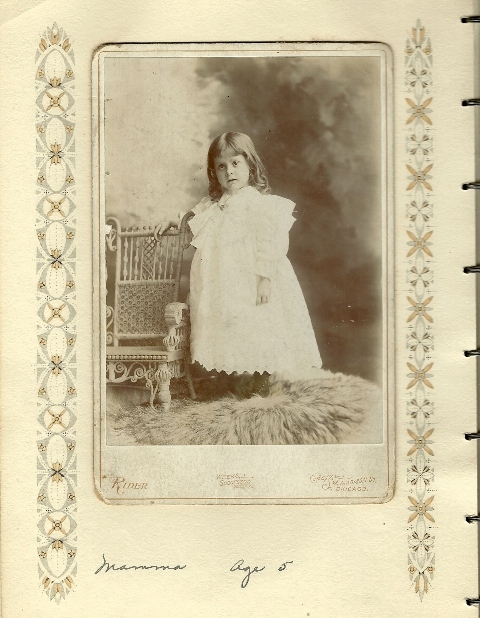 She was only about 4 years old when her mother died in childbirth. My grandmother showed musical promise, specifically as a pianist, at an early age. 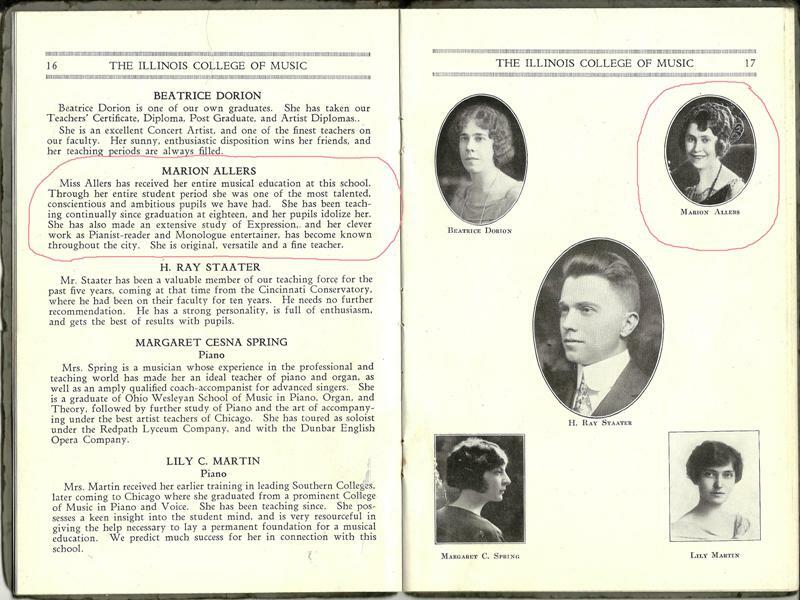 She received her entire musical education at the Illinois College of Music, which was established in 1900, graduating when she was eighteen but continuing there as a teacher. My mom managed to rescue the 1924 faculty booklet from family records in danger of being discarded as clutter. 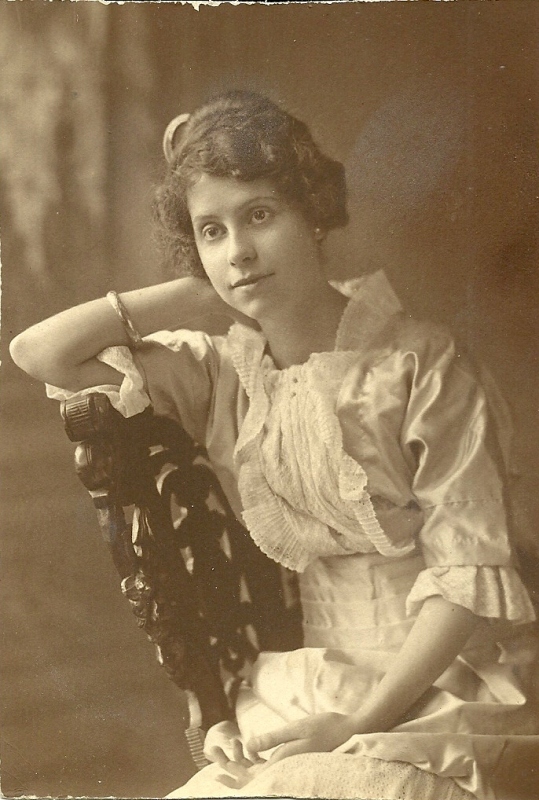 It states that Miss Allers’ pupils idolized her, “she made an extensive study of Expression (voice training, breathing, recitation, dramatic training, impersonating, dialect, etc.) 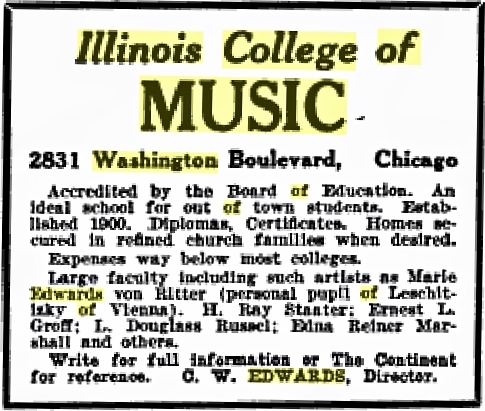 and was very “clever” as “Pianist-reader and Monologue entertainer” who “became known throughout the city (Chicago)”, and was “original and versatile.” Her repertoire as a concert pianist included Mozart, Beethoven, Chopin, Liszt, and Tchaikovsky (which I can verify from the sheet music that has come down from her). My mom also recalls her mother playing and singing popular songs from the twenties and thirties, and watching her entertaining, even comical, skits. 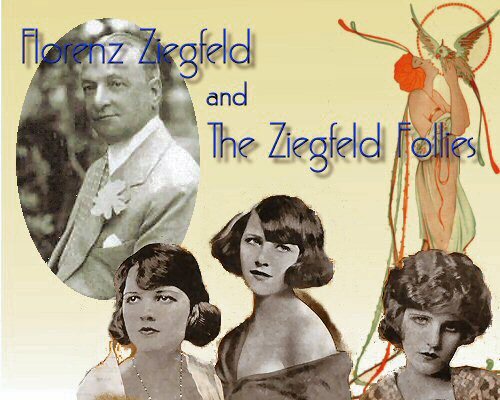 The story becomes most fascinating and fateful when my grandmother was approached by the American impressario Florenz Ziegfeld, who was from Chicago, to take part in a European tour with the Ziegfeld Follies. Her family wouldn’t allow her to go as “good girls didn’t travel alone or do things like that”. Who knows what career opportunities were missed and whether the disappointment contributed to her suffering a nervous breakdown. There is a scene in To A Strange Somewhere Fled that was inspired by her attempting to pick the flowers off the wallpaper in her bedroom during her mental and emotional collapse. She had several offers of marriage she turned down. 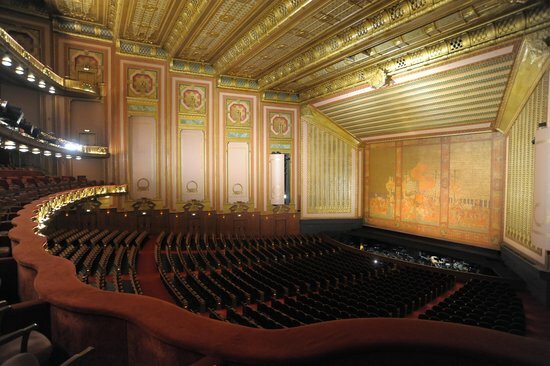 Then, in her thirties, my Italian blue-eyed grandfather Pierino, who was attractive, cultured, charismatic, and a bit of a scoundrel—not unlike Alessandro Stradella—came on the scene when mutual friends took him to see her perform at the Chicago Civic Opera House. 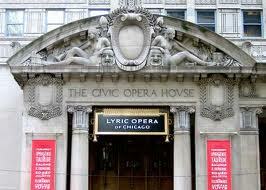 In 1995 the Lyric Opera of Chicago began a complex renovation of its home, the Civic Opera House. This time she defied her family to marry him—unaware he was still married to a woman in New York City—finding excitement but also hardship in her decision to do so, because, besides being a bigamist, my grandfather was an unreliable provider and often absent, engaging in dodgy real estate deals with the gangster element in 1930’s Chicago. 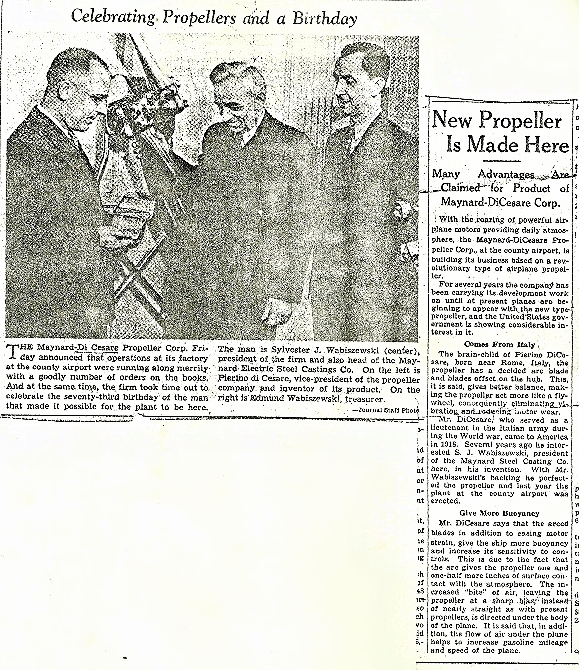 He was very interested in aviation (my mom remembers going up in one of his very small scary airplanes), took out at patent on a new propeller blade, and became Vice President of a propeller company. You can see the photos of the propellers and factory here. My maternal grandfather Pierino DiCesare is on the left, probably around 47 years old at the time of this photograph, Vice President of the Maynard-DiCesare Propellar Company. Although he lived until I was around ten, I never met him. After my grandmother died, he remarried, then divorced, and fell on hard times, becoming a destitute alcoholic and dying from sclerosis of the liver in Philadelphia. 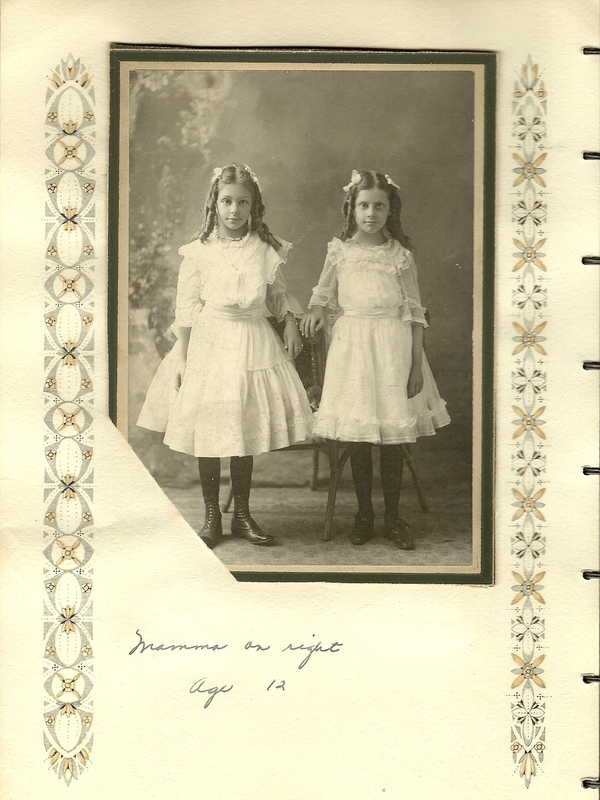 After my mom and her eldest sister were born, her parents split for a while, got back together and had two more daughters, but the marriage was a rollercoaster for my grandmother, causing financial and emotional hardship. She continued to give piano lessons, until she became very sick with breast cancer which claimed her life far too soon at the age of forty-six, my mom ten, her youngest sister only four. My mother was heartbroken, wouldn’t go to school for months, and to this day can’t speak of her mother without tears. What a joyful presence was lost from the mortal world, but, fortunately, I have felt and continue to feel her spirit around me. 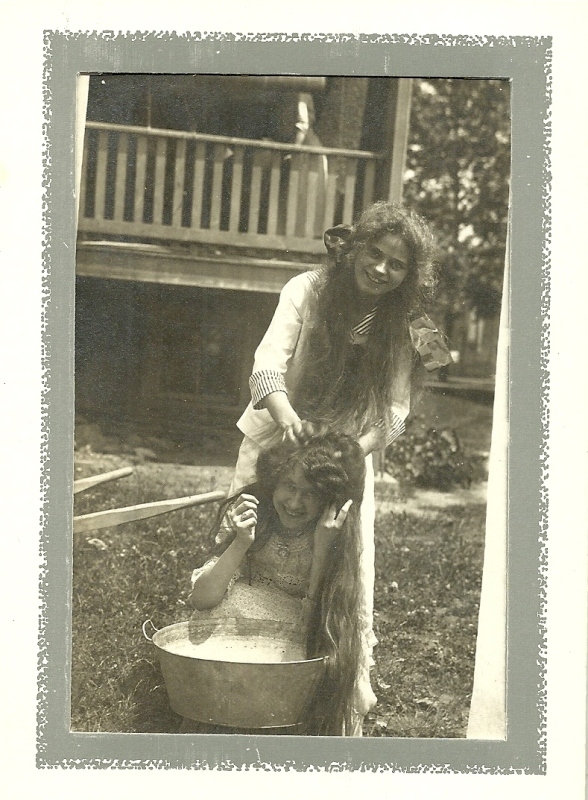 My grandmother getting her hair washed by a cousin. 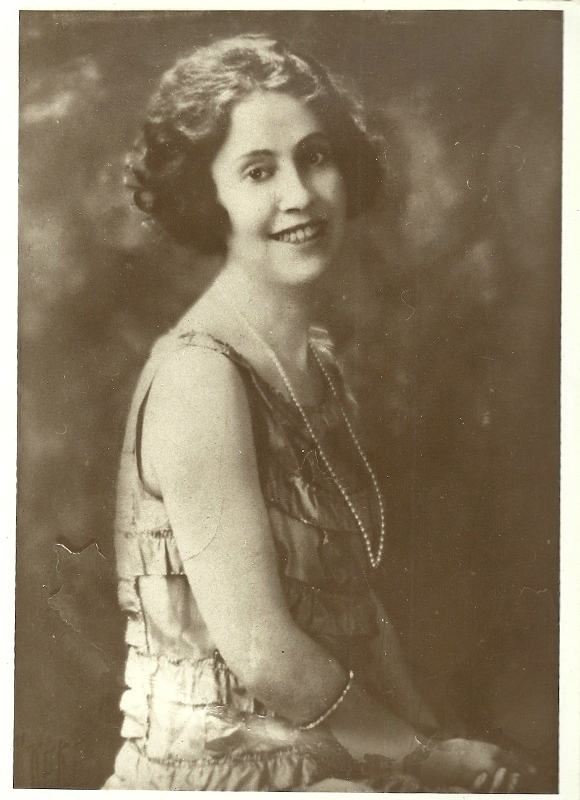 In the twenties she sold her beautiful long auburn hair for $50 – her family was outraged! 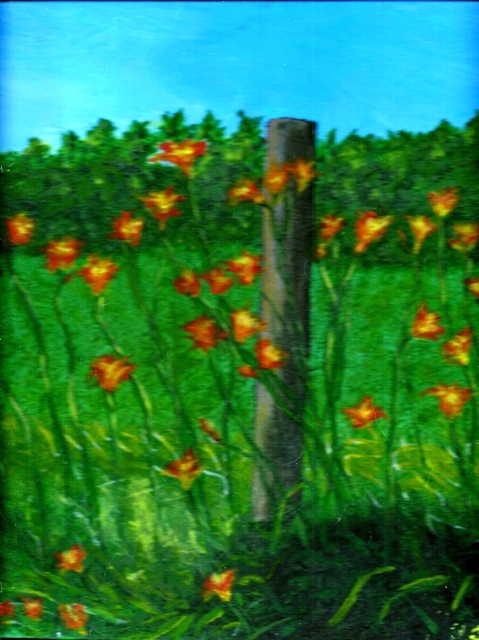 ©All Artwork and writing on this site, unless otherwise indicated, are the property of Diane M Denton. Please request permission to reproduce or post elsewhere with a link back tobardessdmdenton. Thank you.